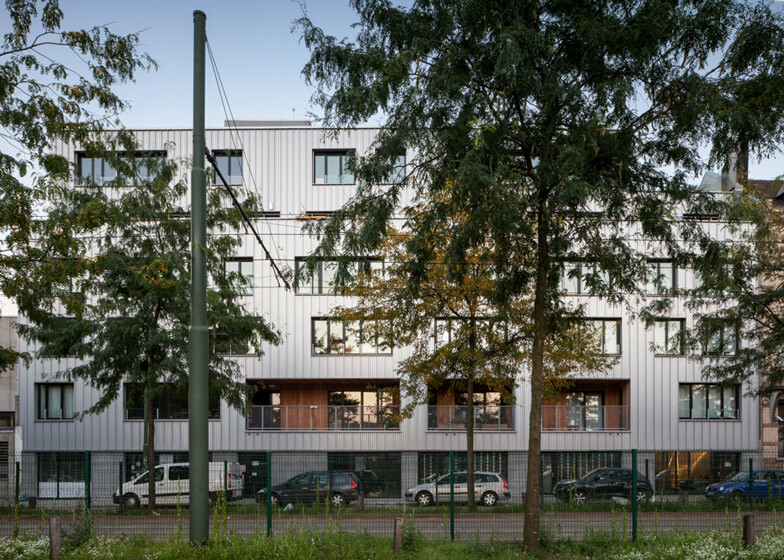 This housing project in Brussels was funded and developed by its residents, to a design by local studio Stekke + Fraas based on the principles of "durability, prosperity, ecology and social diversity" (+ slideshow). 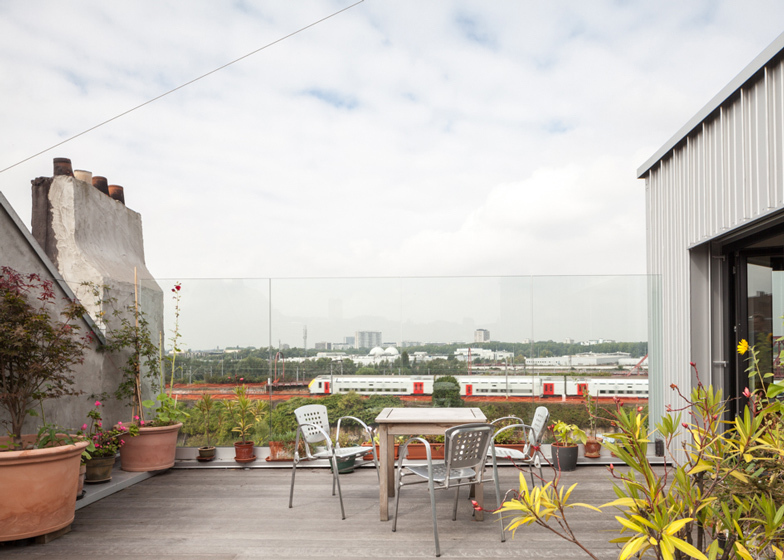 Named Brutopia, the project is situated in the city's Forest neighbourhood, close to the Wiels contemporary arts centre. 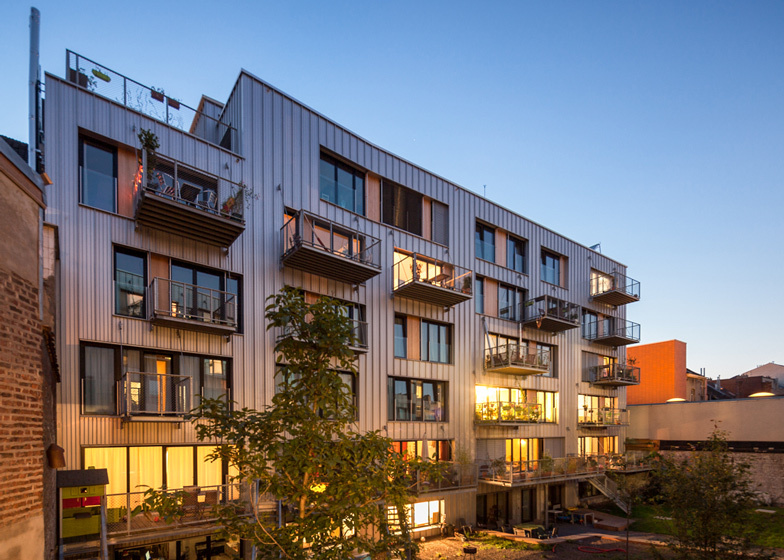 Its inhabitants wanted to enjoy the benefits of living in the city but without paying over the odds, so they clubbed together to form a non-profit organisation to manage the project's budget and construction. 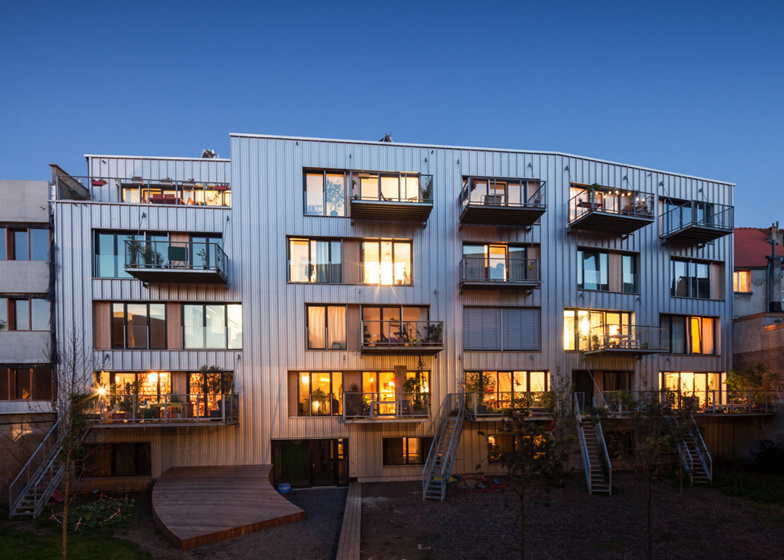 Stekke + Fraas was asked to oversee the design of the complex, which is divided into two blocks containing a total of 29 apartments, as well as units for businesses and a community centre for local elderly people. "The project was initiated by 15 people who all knew each other and all had the same desire," architect Serge Fraas told Dezeen. 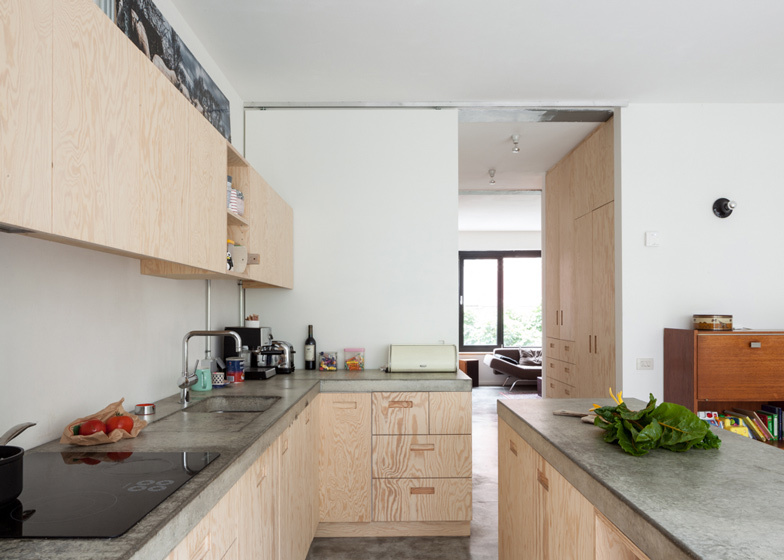 "They wanted an affordable but high-quality dwelling in Brussels that has some architectural qualities and is ecologically progressive." Organising themselves into working groups based on their individual skills, the collective was able to manage the various tasks normally handled by a developer, including finances, subsidies, construction and the needs of the community. According to Fraas, the main difference between this project and the clients he typically works for was the need for strong communication with the whole group. "In a classical relationship with a developer there is only one professional interlocutor," Fraas pointed out. "But in the case of Brutopia the communication process was more important and required different forms of information transfer, both with individuals and the general assembly." The plot for the building was chosen because of its links to public transport. 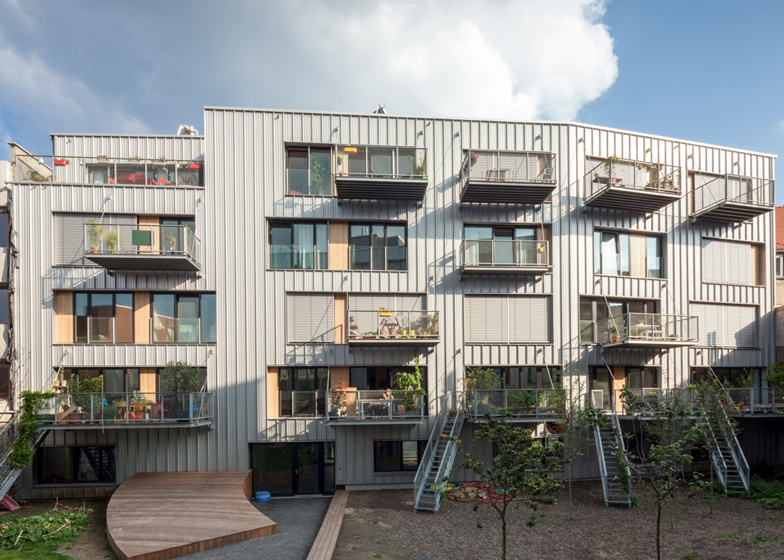 It includes space for bicycle storage, helping to achieve the desired sustainability criteria. 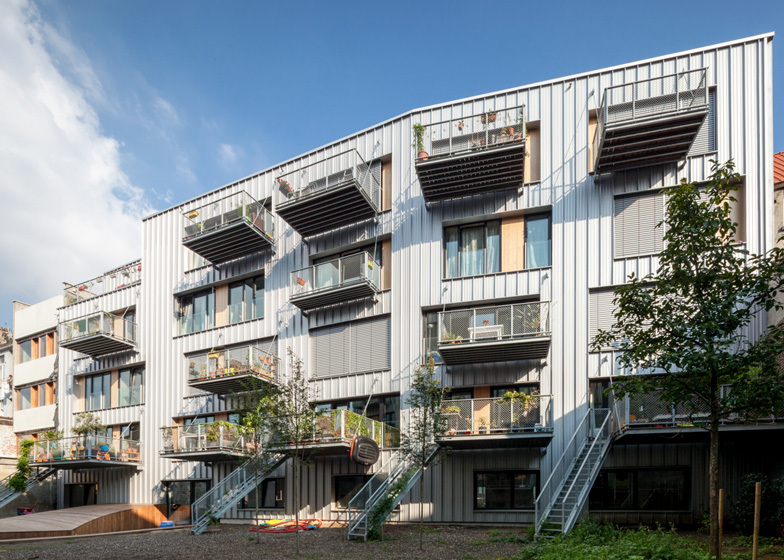 Only two of the 29 apartments don't achieve Passivhaus status – which is granted to buildings that use natural methods to provide heating and cooling. 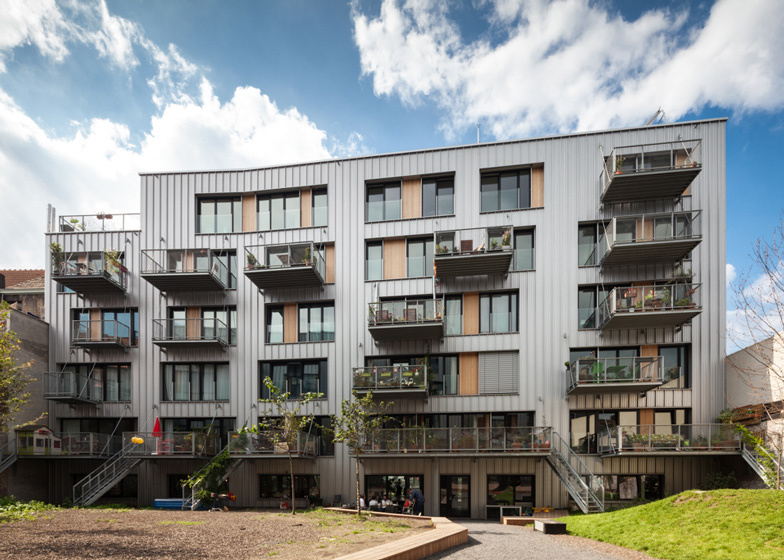 The two buildings are positioned on either side of a communal garden, with shared facilities including the laundry room and a multifunctional space enhancing the opportunities for interaction – a key aspect of the brief. Inhabitants of all ages, backgrounds and occupations contribute to the project's social diversity, which is supported by the inclusion of business spaces that ensure greater interaction with the local community. 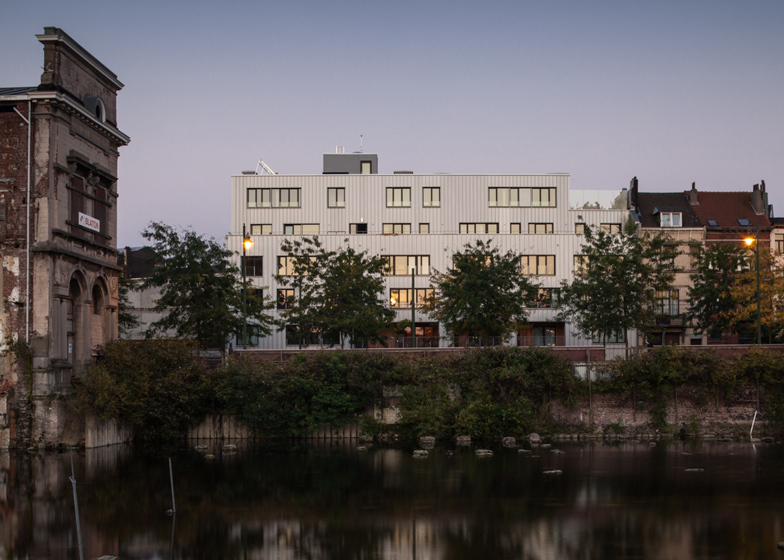 Apartments of different sizes are accommodated within the project's programme. The different price points were intended to attract occupants from a broad cross-section of society. The buildings were also designed in accordance with the varying needs of its future inhabitants, as set out in the early meetings. Plenty of light, open floor plans and simplicity were among the qualities the architects were asked to focus on. 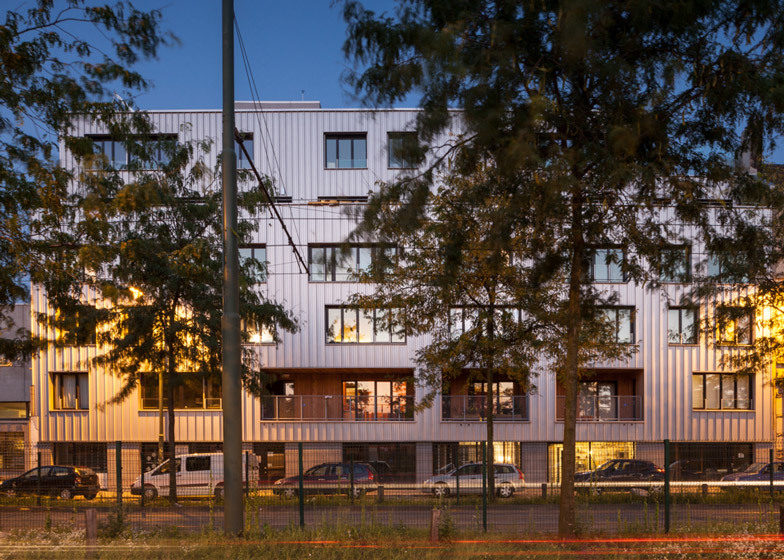 A pragmatic approach to materials led to the external surfaces being clad in panels of recyclable aluminium with good light-reflecting properties. 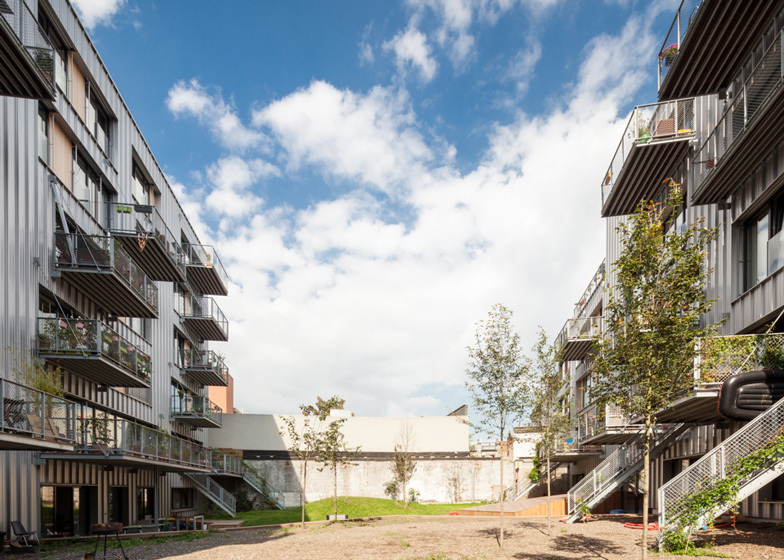 Most of the apartments were handed over to the occupants as empty shells that could be configured and decorated as required. 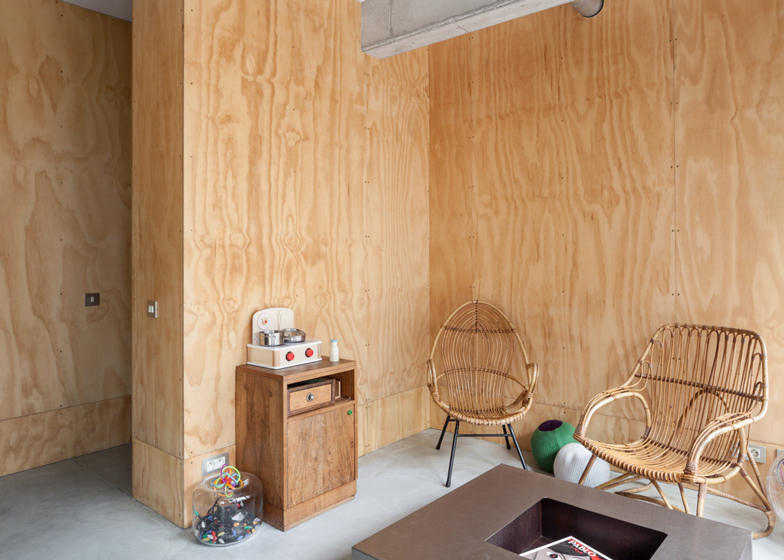 A selection were then fitted with plywood partitions and furniture that continues the affordable approach. The complex's name, Brutopia, combines the words "Brussels" and "Utopia", but Fraas said this title now feels outdated. "'Utopia' was chosen at the beginning, when the project still seemed an utopian concept," Fraas said. "Today it seems more appropriate to name it 'Brupossible'."